Over the past twelve months, we've only really seen a couple of high-end graphics card releases and it's something that's worried me a little. And considering many developers have come out and said that consoles are now their primary development platform, citing reasons ranging from piracy to massive programming challenges that make a developer's life difficult, there is every reason to be worried. It had me thinking – have we finally reached the limits of where PC graphics technology is going to go for the time being? After all, the next generation consoles are said to be the primary development platform and they're not going to get any faster until the next cycle comes around. Developers that are leading development on one of the consoles and then porting their efforts to the PC aren't spicing things up massively. Even our favourite industry spokesperson, Mark Rein, says that the graphics in Crysis are as good as it's going to get on the PC for a while. With all of this going on in the foreground, the graphics industry has been rumbling away in the mid-range for a while – releasing a slew of new mid-range parts designed to win the hearts and minds of gamers. While we're big believers in bang for buck, we also need a healthy high-end market to continue to drive technology forwards and to allow the hardware vendors to deliver incredible value in the mid-range. I think it's fair to say that the unprecedented leap in performance delivered by the GeForce 8800 GTX back in November 2006 really surprised the market—almost shell-shocking it into a corner—and there really hasn't been any new high-end products to really get excited about since then. The GeForce 8800 Ultra launched at the start of May and was nothing more than a speed bumped GeForce 8800 GTX. Indeed, in its standard form, it wasn't much faster than some of the partner-overclocked cards that were available for much less. Meanwhile, the Radeon HD 2900 XT launched just a couple of weeks later and didn't live up to all the hype – it merely competed with the GeForce 8800 GTS 640MB and did so with sub-par anti-aliasing performance and exceedingly high power consumption. Speaking of the GeForce 8800 GTS, Nvidia confused matters in December when it launched the G92-based GeForce 8800 GTS 512MB. This is a card that featured a full 128 stream processors—up from the 112 that were featured in the GeForce 8800 GT—much like we'd believed when the latter launched at the end of October, but still featured the same 256-bit memory interface. 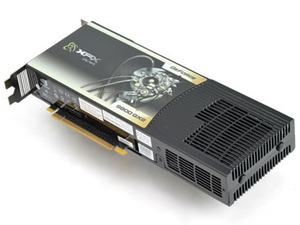 Despite this, it gave the GeForce 8800 GTX a very good run for its money—even at 1920x1200—and between the two G92-based cards, there was little reason to buy anything else on the market if you'd got more than £150 to spend. And if you were looking to game at 2560x1600, a pair of GeForce 8800 GTS 512MB cards in SLI were sufficient. In between the two G92 launches, AMD didn't stop working to get back on the straight and narrow, as it had been busily tweaking R600's design to deliver similar performance at a considerably lower power envelope. In November, the company rolled out the impressive RV670 chip with the introduction of the Radeon HD 3850 and Radeon HD 3870 cards. These two products slotted into the mid-range or performance-mainstream market and now compete against the Nvidia's aggressively-priced GeForce 9600 GT and GeForce 8800 GT cards. 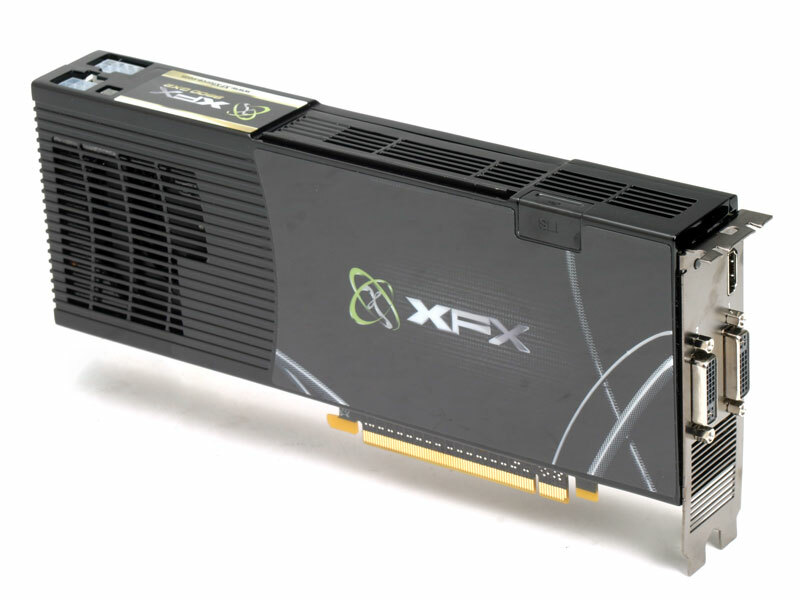 So, there wasn't much movement in 2007 at the high-end with just one new high-end product launched, but AMD had indicated in November that it was working on a new high-end card – the Radeon HD 3870 X2. It was ATI's first dual-GPU board since the ATI Rage Fury MAXX in 1999 and it worked pretty well in the grand scheme of things. It went a long way to fixing many—but not all—of the drawbacks of multi-GPU graphics cards – installation was seamless and it supported multi-monitors without having to disable CrossFire. Both of these were great and performance wasn't too bad either... as long as there was good CrossFire support enabled in both the game and the driver. I'm sure many of you will remember back to the GeForce 7950 GX2 – it was Nvidia's last attempt at a multi-GPU 'single' card and it was supposed to be a show of the company's faith in its SLI platform. Sadly, the card's reputation was marred by poor driver support in Windows Vista and many partners' GeForce 7950 GX2s claimed 'Windows Vista Essentials' support on the packaging. Indeed, it took until March for the company to properly support the card and allow it to perform the way customers would expect. 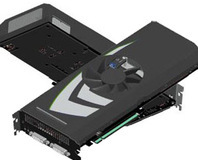 Well, today Nvidia is back to have another go, as it is launching its GeForce 9800 GX2 errr... card. Before we get onto the hardware itself and XFX's retail bundle, it's time to have a look at the architecture and technology behind the card. Nvidia is rumoured to be working on a new version of its dual-GPU GeForce GTX 295 card, which will feature a single PCB, rather than two. We dive into the world of pre-overclocked cards and check out BFG's OCX and Asus' TOP GeForce GTX 280s and an AMP! 'd GeForce GTX 260 from Zotac. Are they worth the extra cash for a bit more umpf? We found out.